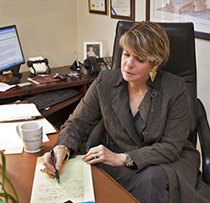 Ms. White frequently works with Charlottesville-area lawyers David Toscano, Lynn Bradley, and Annie Lee Jacobs on collaborative law cases. “The Role of Client Emotional Disorders in Family Law Representation,” 11 Virginia State Bar Family Law News (Winter 1991). Commissioner in Chancery for the Sixteenth Judicial District of the US Courts of Appeal, 1985-present.